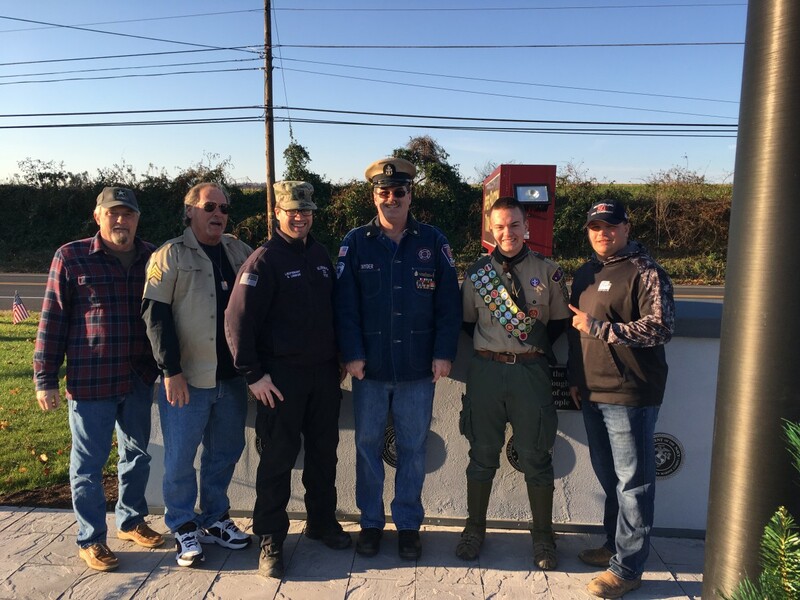 Today a crew of Military Veterans crewed Truck 20 and attended the dedication of the Upper Paxton Township Veterans Memorial at the Township Building on the Berrysburg Road. 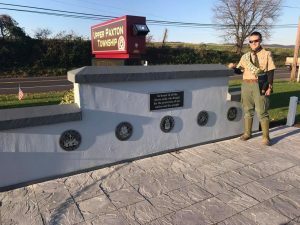 The memorial was completed as a Boy Scouts of America Eagle Scout Project by Zachary Sawdey. Congratulations to Zachary on completing this project and being awarded the rank of Eagle Scout. 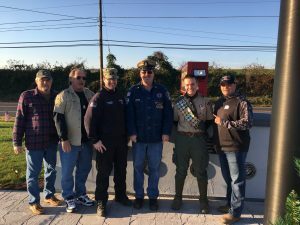 The crew in attendance was Lieutenant Seth Lenker, US ARMY SGT 2009-2017; Firefighter T.J. Acker, US ARMY SSG 2008-Currently serving; Firefighter John Heckert, US ARMY CWO2 1970-1979; Firefighter John Haines, US ARMY SGT 1968-1969; and Fire Chief Doug Snyder, US NAVY DCCS(SW) Retired 1983-2003.